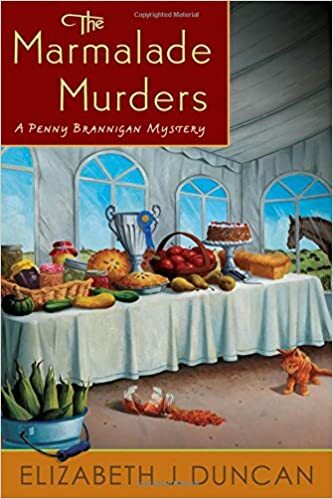 The Marmalade Murders is the ninth book in Elizabeth J. Duncan's award-winning mystery series, celebrated for its small-town charm and picturesque Welsh setting and starring amateur sleuth Penny Brannigan. The competition is friendly and just a little fierce at the annual Llanelen agricultural show as town and country folk gather for the outdoor judging of farm animals and indoor judging of cakes, pies, pastries, chutneys, jams and jellies, along with vegetables, fruit and flowers. But this year, there’s a new show category: murder. Local artist, Spa owner, and amateur sleuth Penny Brannigan agrees to help with the intake of the domestic arts entries and to judge the children’s pet competition on show day. When the president of the Welsh Women's Guild isn’t on hand to see her granddaughter and pet pug win a prize, the family becomes concerned. When a carrot cake entered in the competition goes missing, something is clearly amiss. A black Labrador Retriever belonging to the agricultural show’s president discovers the body of the missing woman under the baked goods table. A newcomer to town, a transgender woman, is suspected, but amateur sleuth Penny Brannigan believes her to be innocent. She sets out to find the real killer, but when a second body is discovered days later, the case is thrown into confusion, and Penny knows it’s up to her to figure out what happened―and why. 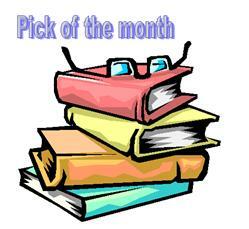 This a well plotted cozy set in Wales with a scenario that many a country woman would be familiar with. As Penny Brannigan says later, who could guess that a simple cake and jams competition could engender such violence? Penny and her colleague Victoria are roped into monitoring the cakes, jams and marmalades as the local women bring them in to the competition. Later Penny also has to jusge the children's pets competition. One of the competitors arrives late to hand her marmalade in, then disappears overnight, and then turns up dead under one of the trestle tables. Elizabeth J. Duncan has worked as a writer and editor for some of Canada's largest newspapers, including the Ottawa Citizen and Hamilton Spectator. She lives with her dog, Dolly, in Toronto where she teaches in the public relations program at Humber College. She enjoys spending time each year in North Wales and is the first Canadian writer to win the Malice Domestic Best First Traditional Mystery Novel Competition. The Cold Light of Mourning, her first novel, is also the winner of the William F. Deeck-Malice Domestic Grant and was shortlisted for an Agatha and an Arthur Ellis Award.